Fairywood. Has any place as bucolic a name? One would assume it could only exist in fantasy–within Narnia or Neverland or, at least, New Zealand. Fairywood must be a land of eternal mist, riddle-spinning toadstools, magick staffs hewn from gnarled bentwood, spellcasting. It is where banshees live, and yes, they do live well. But one need not cross the Misty Mountains nor the darkest depths of Mordor–it’s right here in the City of Pittsburgh. If one were to set out for Fairywood, she or he might also optimistically hope to encounter pixies, gnomes, gremlins, griffins, or unicorns along the journey. Such other-worldly creatures simply must exist in the forest faerie realm. Alas, that was not this blogger’s experience. Look up Fairywood and you’ll likely come across some bad press. 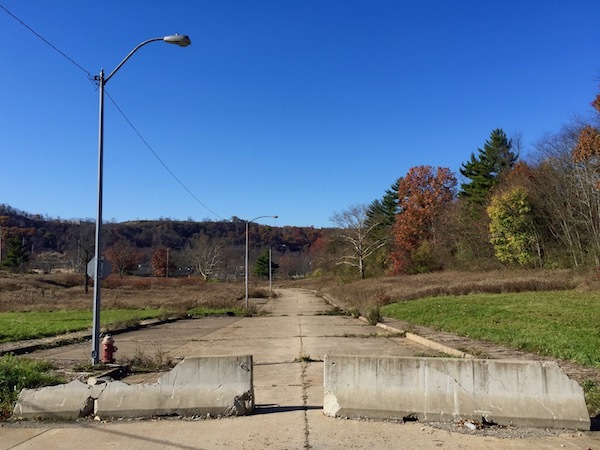 At this point, the peninsular neighborhood on Pittsburgh’s far southwestern border [it is surrounded on three sides by non-city boroughs] is mainly associated with two things: colossal ex-urban warehouses and off-the-charts crime. The former is easy to see–along the south and west perimeters are huge distribution centers for UPS, ModCloth, Amazon, and Giant Eagle/OK Grocery. The hum of their idling 18-wheelers and beeps of reversing forklifts are omnipresent even from a great distance. The latter is not so obvious. On a picture-perfect Saturday afternoon, we barely encountered a single living soul–and the ones we did meet were real nice! The sum of residential Fairywood is contained in four or five streets of pre-war frame houses and Baby Boom-era pill boxes and split-levels, plus one former project-turned-gated community. Only around a thousand people live here. Who’s committing all this crime? Alan Weisman’s 2007 best-seller The World Without Us detailed the ways in which the built environment would inevitably deteriorate in the absence of human beings. I’ll confess I haven’t actually read the book, but Mrs. The Orbit did and relayed its projections of houses collapsing and cities overtaken by nature as I was suddenly getting much more aware of cracks in the plaster ceiling and loosening of our mortar joints. By far, the most prominent feature of Fairywood today is the enormous negative space created by what was at one time the Broadhead Manor public housing project. In its absence is a massive plot of land–its footprint similar in size to a junior college campus or suburban shopping mall (including all the parking). The actual housing blocks have been razed and removed, but the infrastructure–several curling roads that terminate in dead-ends, street lights, sidewalks, fire hydrants, an absurd children at play road sign–all remain. Between these few remaining stretches of concrete, nature has come back hard and fast. It’s a very un-Pittsburgh landscape–almost completely flat (although you can see hills in the distance in any direction) and dominated not by trees, but instead with scrubby waist-high bushes, weeds, and wildflowers–much more midwestern than Appalachian. 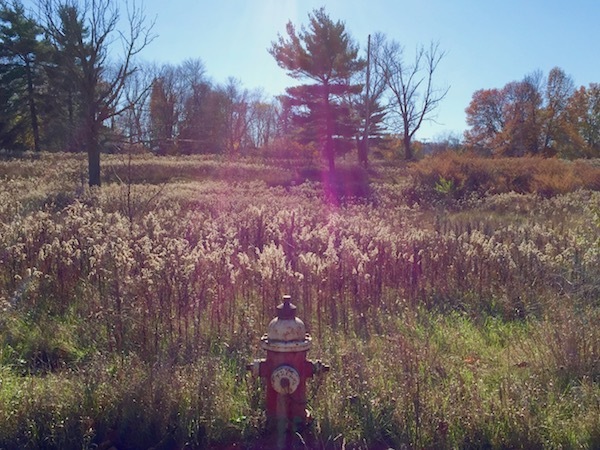 Nationally, these kinds of spaces have been coined urban prairies for a reason–they’re not quite nature without man, but they’re decidedly not city (as most tend to think of it) either. 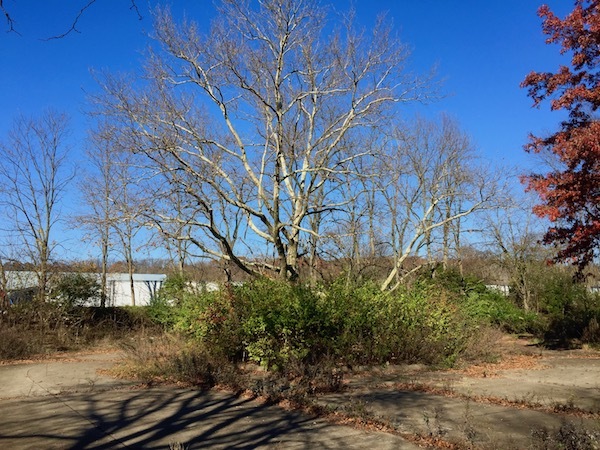 That Broadhead Manor should or should not have been razed is a conversation for those who actually lived in and around it. With no personal connection, it does strike me as a classic built-to-fail situation: warehousing people in closed-circle public projects at the most distant edge of the city in a neighborhood with neither business district nor many transportation options. What could go wrong? 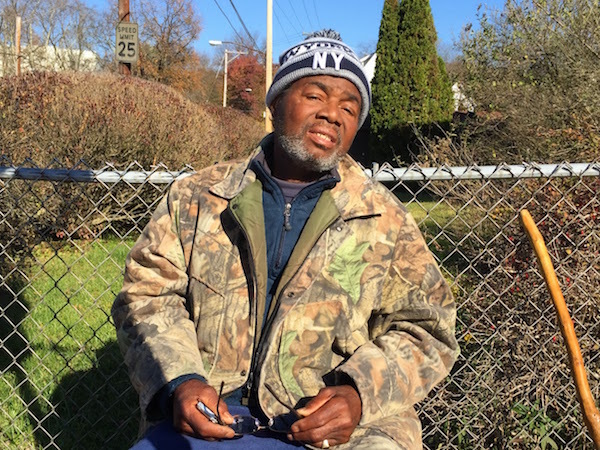 We met Mr. Ro Ro camped out on a folding chair, waiting for a bus on Prospect Avenue. A wizard’s staff was casually propped against the chain link fence. Mr. Ro Ro told us he’s lived in Fairywood for fifty years and said of Broadhead Manor, “Roosevelt built them after the war.” President Roosevelt’s connection is unknown, but Broadhead Manor was indeed former military housing, purchased by the city in 1946. 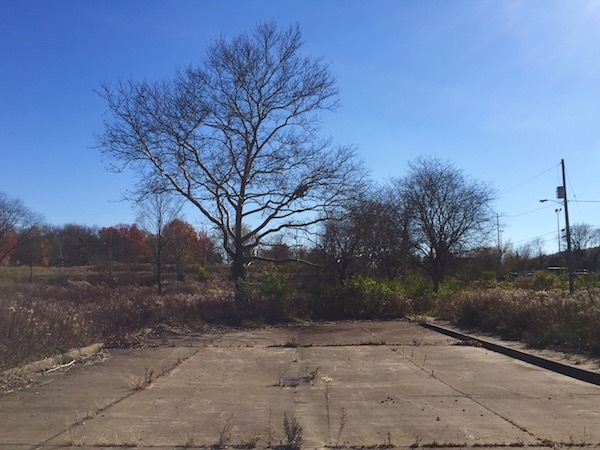 As the only human wandering through the strange dystopian landscape of an ex-neighborhood with all its buildings removed–now almost completely reclaimed by nature–the irony of the phrase “after the war” was ringing in the air. More than anything else, this huge section of Fairywood feels like what’s left after the nuclear winter has finally subsided and an entirely new form of nature begins again on the bones of the civilization that destroyed the old one. Let’s hope we get it right this time. It is telling that The Orbit‘s knowledge of Middle Earth comes more from Houses of the Holy than The Player’s Handbook. 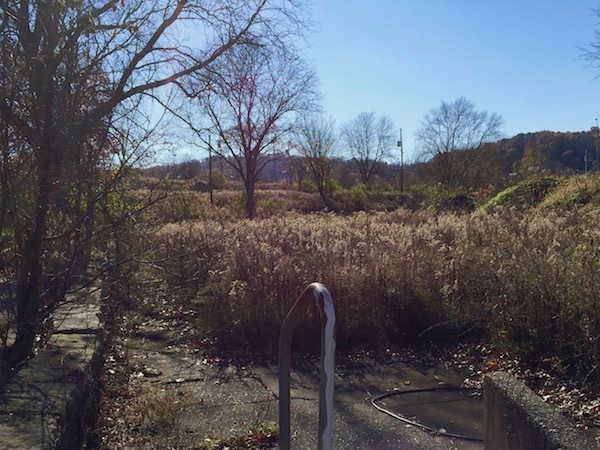 A post in the Abandoned, Old & Interesting Places – Western PA FaceBook group shows some of the housing after the residents had been moved but pre-demolition. It includes many comments–both positive and negative–including quite a few former residents who speak glowingly of their time at Broadhead Manor in the 1960s. Port Authority’s 27 bus route serves Fairywood and nearby neighborhoods with a link to downtown Pittsburgh.